Many of our traders tell us that gaining the Which? Trusted Traders accreditation is tough. Just getting endorsed is an achievement. But the assessment process is really only the start of the journey. If you don’t actively use the endorsement your business could miss out. Our research shows that the traders who really make an effort to use the Which? name and branding are the ones that get the most out of the scheme. The Which? name and brand are widely recognised and trusted – far more than any individual company - and you need to make that work for you. We give you a start with your profile page and help set it up for you, but there is so much more that you can do. Add pictures of yourself and your work – include your business premises or your van, so you look friendly and professional. Describe the services you offer and add reviews. This really sets you apart from other traders and gives consumers a detailed feel of how you work and what you can do for them. Everyone gets a series of stickers, which you can put on your van and your business premises to start with. We can help you with using your Trusted Traders icon on your marketing materials too. Put the Which? Trusted Trader logo on your quotes and also enclose a Code of Conduct leaflet. Imagine a customer has pinned up two quotes for a job on the fridge. They’re going to go with the one with the Which? logo on it – even if it is more expensive. It gives that extra reassurance that customers are looking for. We’ve had great feedback about how effective this is- one trader even said his conversion had gone up from 50% to 95% in a matter of weeks! Our press release template is really easy to use – all you have to do is fill in the gaps with details about your business and send it to your local paper. They are often delighted to get some content and it publicises your connection to Which? in your local area. Social media is another place you can promote your link with Which? Trusted Traders. We have our own social media channels and put content on them, so can you. Reading through official documents on the latest rules and regulations isn’t usually how you want to spend your time. That’s why we summarise issues that may affect your trade into manageable, bite-sized articles. We regularly publish articles on everything from the latest regulations to general business advice. So make sure you keep checking back on the Which? 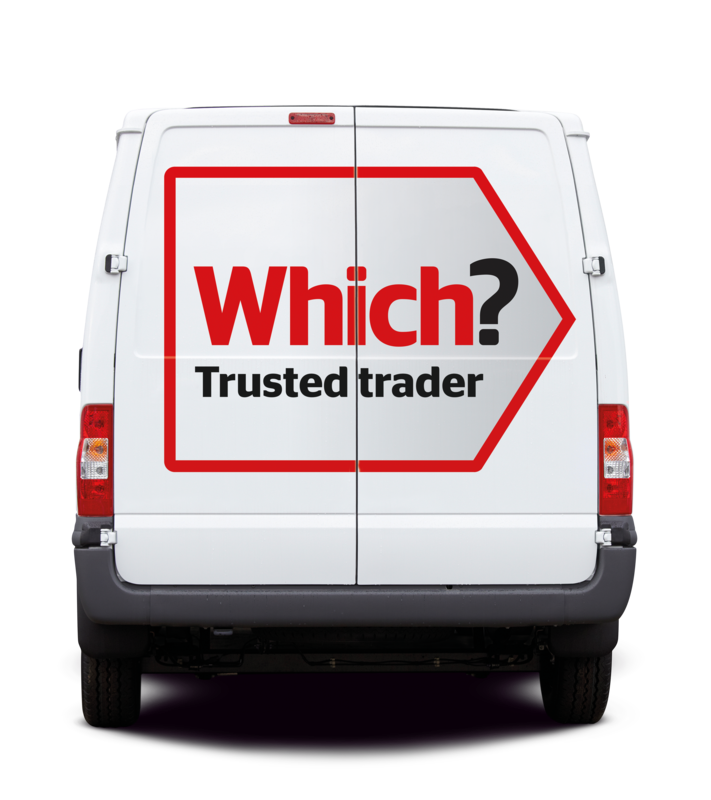 Trusted Traders website to find out more. When you complete a job, give your customer a review card to encourage them to fill out and either send back to you, or put online. Your responses to these online reviews are really powerful and draw attention to your trader profile. Struggling to get enough reviews? Check our tips for getting more reviews on your profile. Some straightforward ideas are printing up T-shirts, mugs, balloons, stationary or pens. But you can think a bit more outside the box too. For example, we have seen traders put their business details with the Which? Trusted Traders icon on beermats, keyrings and radiator keys too. Our customer relationship executives are always happy to advise you on how to make the most of your endorsement. We understand that you are running a business and may not always have time to do your profile page or work on using the logo, but it really makes a difference and we are here to support you. If you need help with any of these activities, please call your account manager on 0117 456 6032.